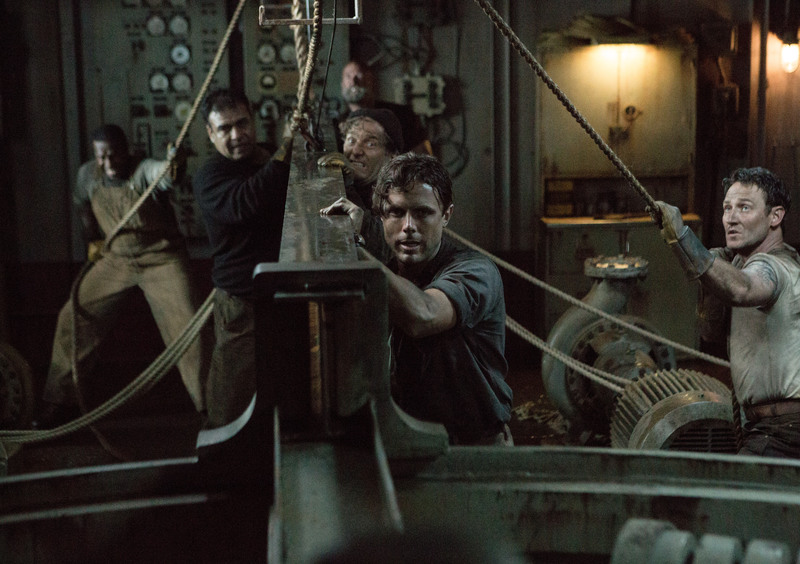 The Finest Hours tells the incredible true story of the U.S. Coast Guard’s most daring rescue. A small lifeboat manned by a four-person crew goes out into a massive storm, braving 50+ foot waves to save the crew of the SS Pendleton, a huge tanker that split in half off the coast of Cape Cod. The odds of them even getting out to the Pendleton’s location alive is fractionally small, but somehow they make it. When they get there, they find over 30 men still alive they have to fit onto a boat that only fits 12. Director Craig Gillespie does an amazing job of conveying the very real threat of death in each segment of the movie. From the lifeboat making it out to sea, to the men on the broken ship staying alive long enough for a rescue, to the treacherous task of getting those men off the boat and back to shore, the tenuousness of the entire situation can be tangibly felt. Chris Pine and Casey Affleck are outstanding as Bernie Webber, the captain of the lifeboat and Ray Syfert, the senior officer on what’s left of the Pendleton. Chris is able to accurately capture Bernie’s quiet, simple character and Casey does a convincing job as the methodical, intelligent engineer turned leader. If you haven’t seen it yet, you’ll have the opportunity next week when the film is released on BluRay, Digital HD, and Disney Movies Anywhere. An action thriller with heart, the movie is well worth it. The home release does not have many additional features. A few of them are featurettes released before the movie came out and collected together. But two of them are particularly worth watching. Against All Odds: The Bernie Webber Story – A montage of interviews with different people from the actual town of Chatham where the Coast Guard station is located offers some great insight into the events surrounding the rescue. The feature talks about how Bernie ended up meeting his future wife Miriam, shows the actual 36500 lifeboat that headed out to sea, and mentions Bernie’s faith and how he felt God’s hand on his shoulders. It also emphasized in even greater detail the dangers the crew faced. Not just getting shipwrecked heading out to sea, but dying of hypothermia and the risks of bringing the lifeboat too close to the ship. Bernie’s selflessness and humility came through as residents recall how Bernie refused the Gold Lifesaving Medal unless his entire crew received one. A great addition to deepen the already thrilling story. Ray Sybert (Casey Affleck) and Tchuda Southerland (Josh Stewart) struggle to keep their ship, the SS Pendleton, from sinking in Disney’s THE FINEST HOURS, the heroic action-thriller presented in Digital 3D (TM) and IMAX (c) 3D based on the extrordinary true story of the most daring rescue mission in the history of the Coast Guard. Deleted Scenes: Most home releases have a “deleted scenes” feature, but The Finest Hours has an interesting twist. Instead of tiny small clips, they feature two elongated ones which were probably cut for running time and not because they didn’t fit in. “A Desperate Idea” shows how the crew of the SS Pendleton explored ideas on how to seal the crack in the ship before tragedy happened. What made it especially interesting was the raw footage. Rough CGI animation, a lack of music, but with full dialogue made for a different kind of deleted scene, but was important to see how disheartening their situation was. “Story of How They Met” was a cute little scene that revealed the circumstances behind the first date. While cute, it occurred during a moment in the story when it would have detracted from the movie. But it was great to hear. The Finest Hours is a great movie with an intense plot and wonderful acting. Another well done movie in the “Based on a True Story” genre that Disney does so well. A truly inspiring tale of heroism and selflessness. 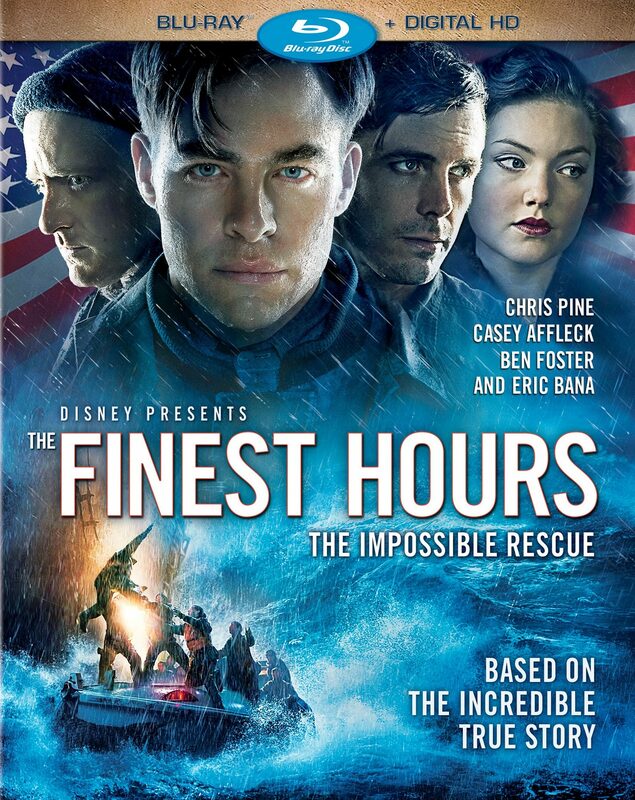 The Finest Hours can be enjoyed on BluRay, Digital HD, and Disney Movies Anywhere beginning May 24th.